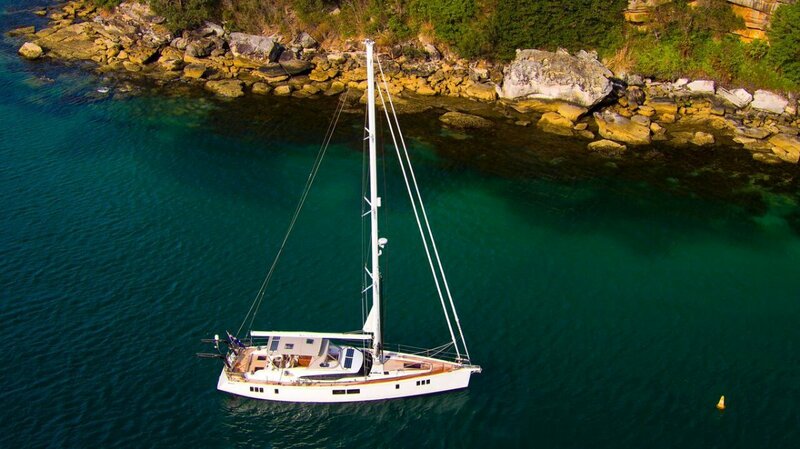 A fresh stunning example of the GUNFLEET 58 we present you 'ARGENTA'. 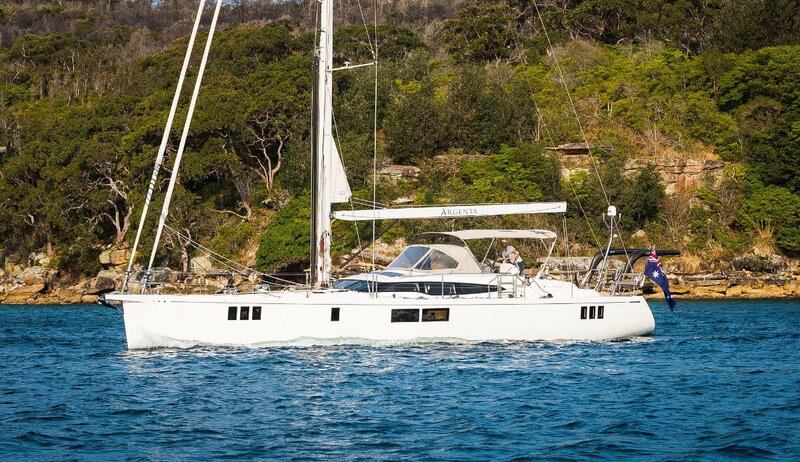 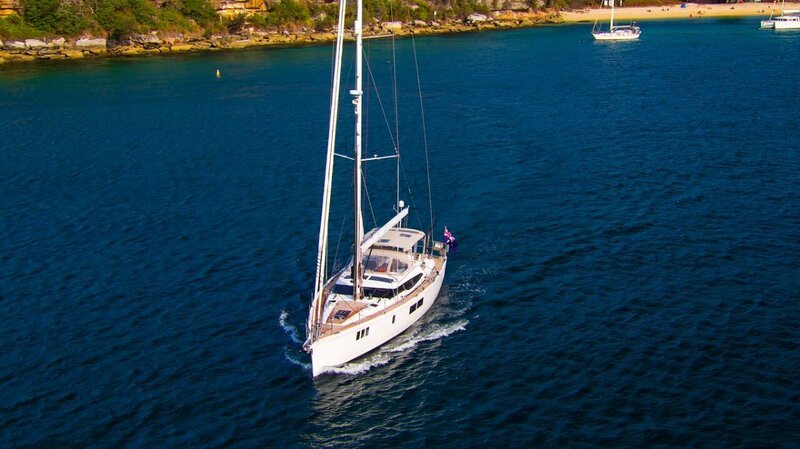 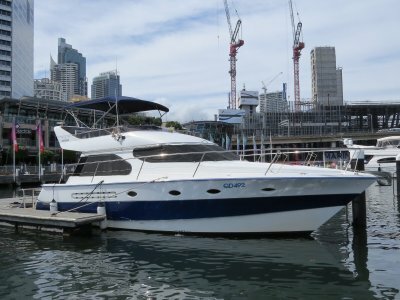 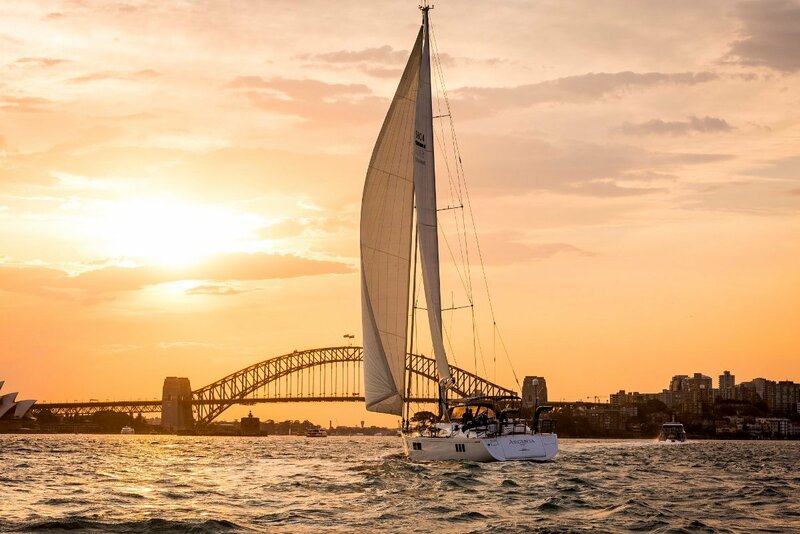 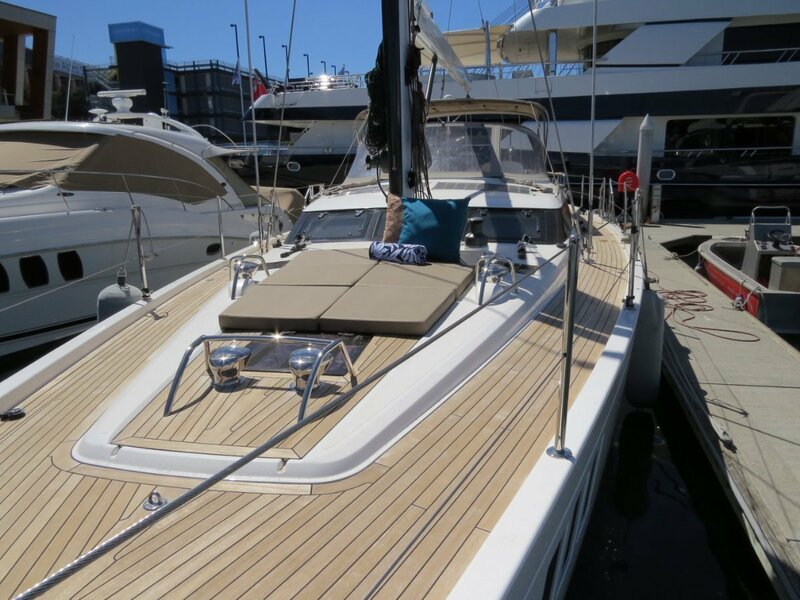 Designed by Tony Castro and built by Gunfleet Marine in the UK for an Australian owner, she is now lying in Sydney after sailing here on her own bottom from Europe via the Caribbean and the South Pacific. 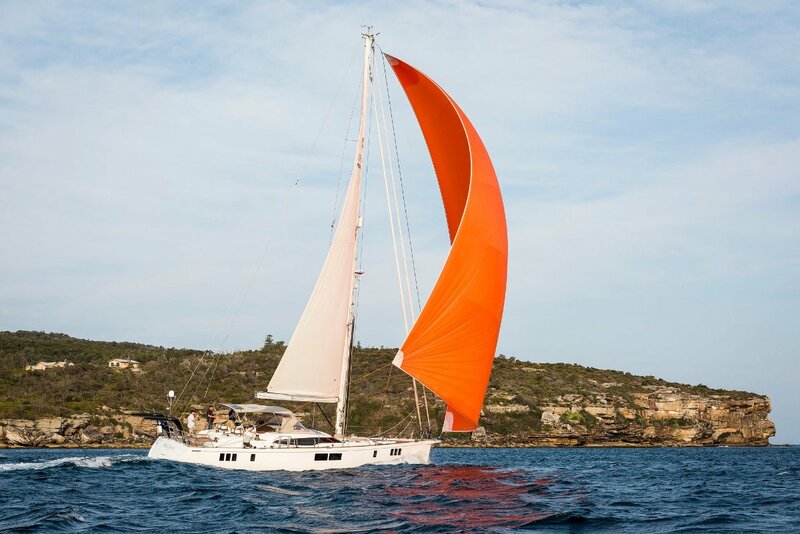 Together with a Shoal drafted keel, hydraulic Centreboard and twin rudder design, any Anchorage or shallow port entry is made easy. 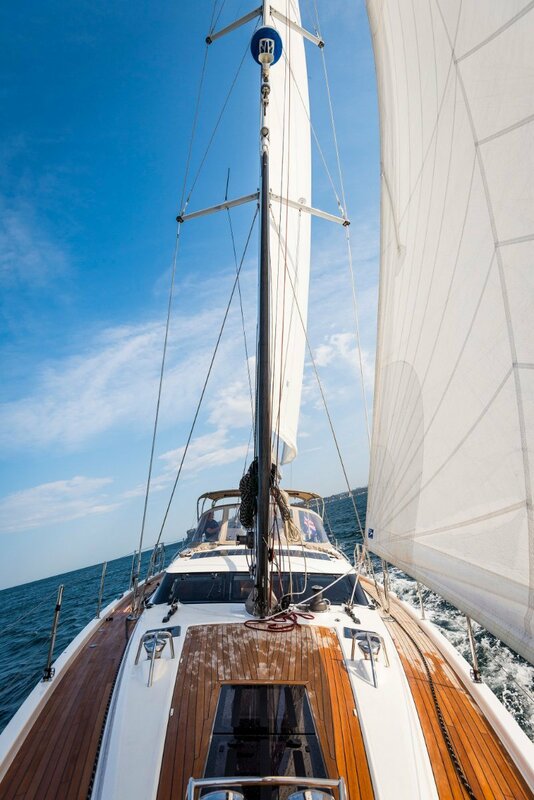 To get you there her Solent Rig with twin headsails featuring a Reaching Genoa and a Solent jib along with Hydraulic Furling makes shorthanded sailing effortless. 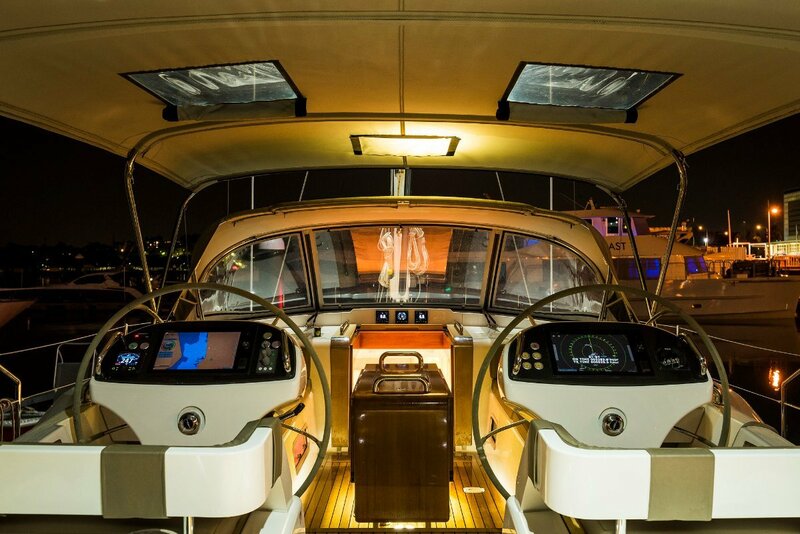 A large, safe cockpit with twin helm positions making you feel in the boat rather than on the boat. 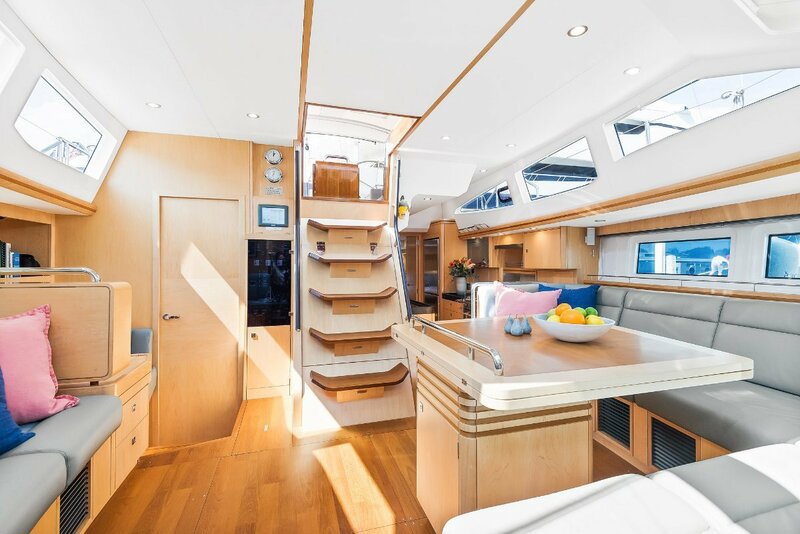 A huge lazarette aft & Sail Locker forward to provide ample stowage for gear and equipment. 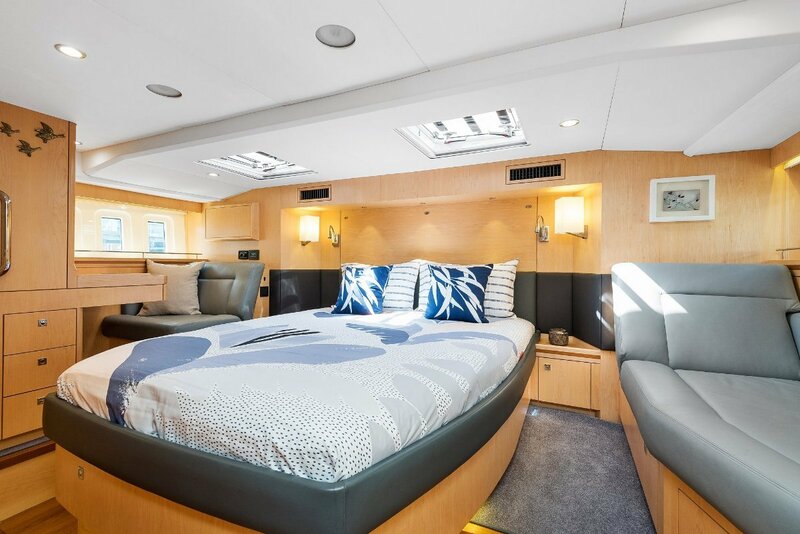 Below decks she features all of the comforts one would expect from a yacht like this. 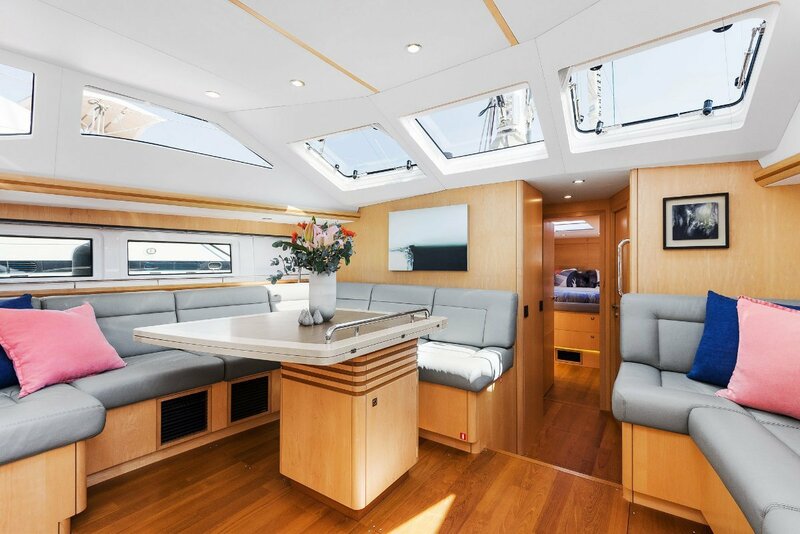 Her modern interior with maple joinery, Teak sole boards, large Hull windows and huge volume make for a stunning light and airy space below. 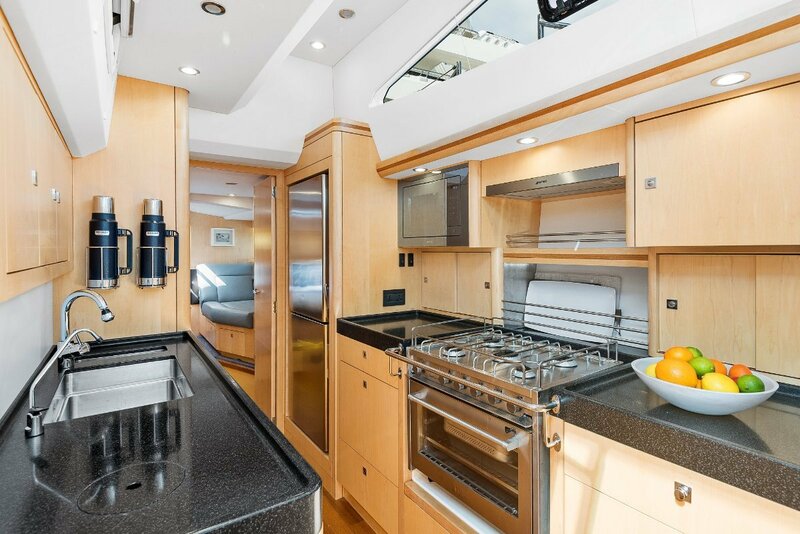 A four cabin layout with custom latex matrasses, Tropical Spec reverse cycle air Conditioning, Diesel Heating, Water maker, fridge, 2 freezers, Washer/Dryer, Bose entertainment system, as well as a wealth of other features which enable the owner and guests to relax and enjoy everything this luxurious yacht has to offer. 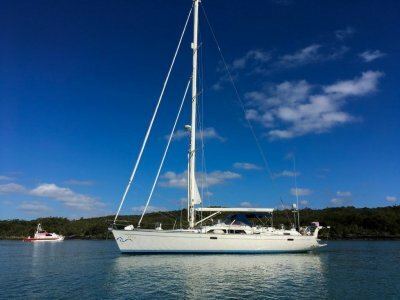 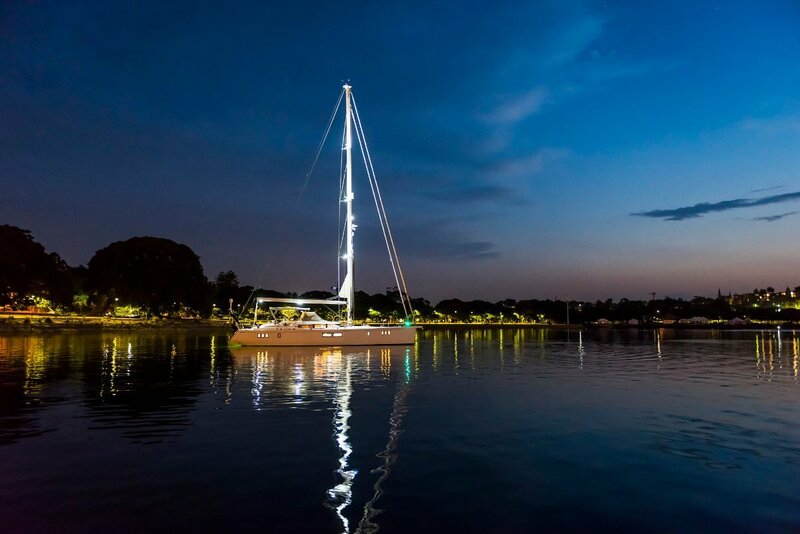 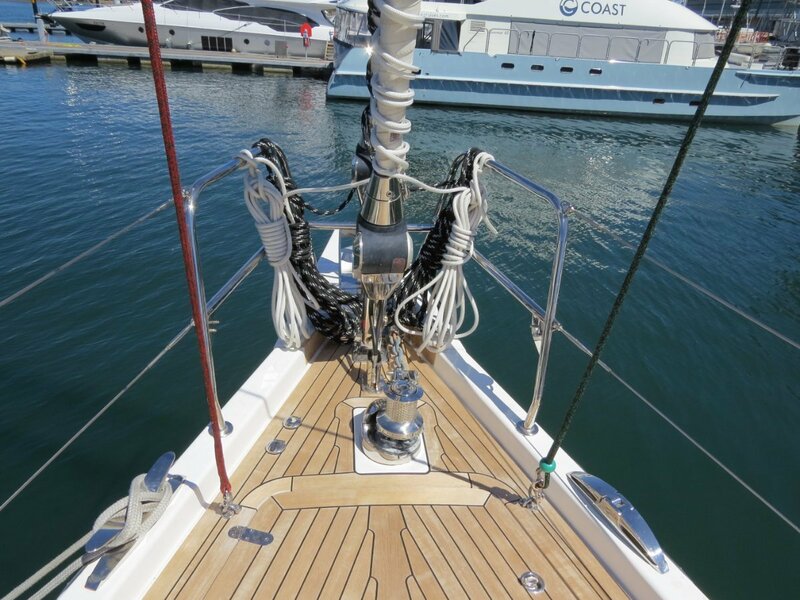 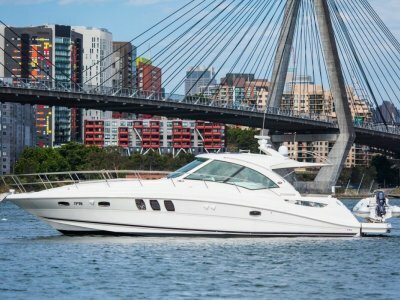 ARGENTA Presents as new and is well equipped with an extensive spares inventory, she is ready to take on any trip and is in turn key condition for Blue water cruising. 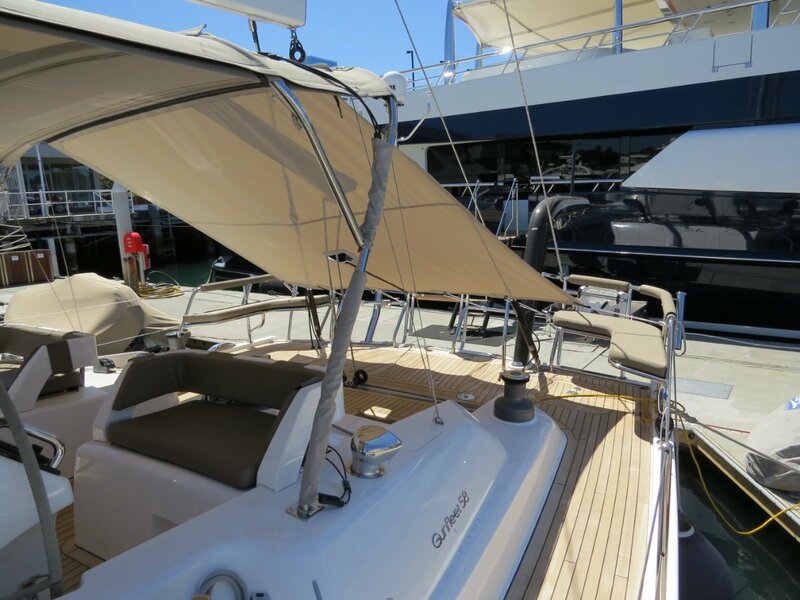 A full Specification and inventory is available on request. 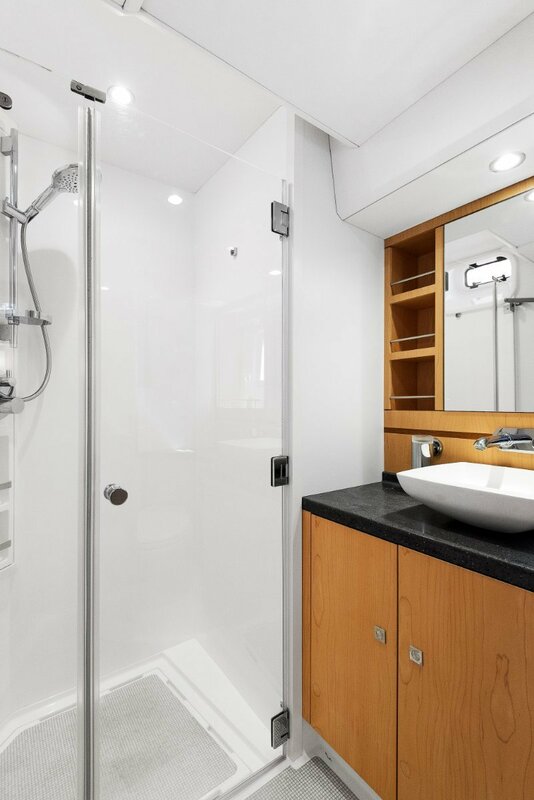 Forward cabin - Large double island berth with en-suite heads and separate shower compartment, hanging lockers, under berth drawers and plenty of stowage. 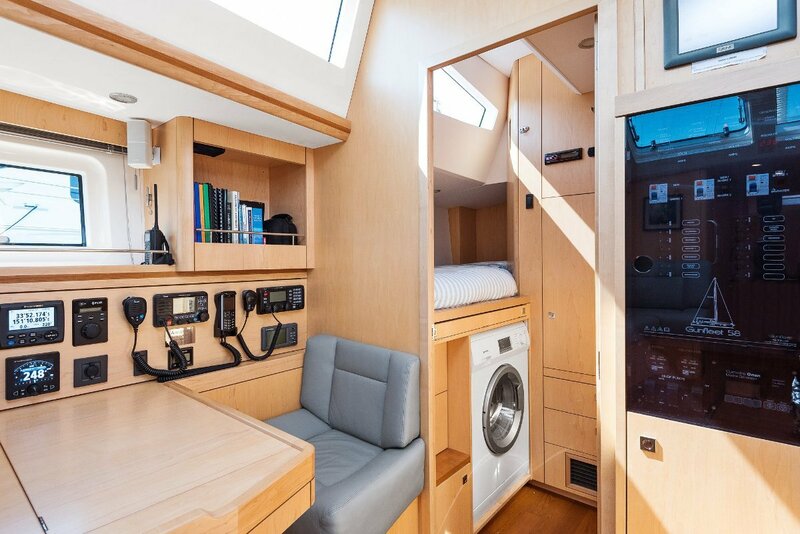 Bunk room to port with 2 large berths, cupboard and drawers. 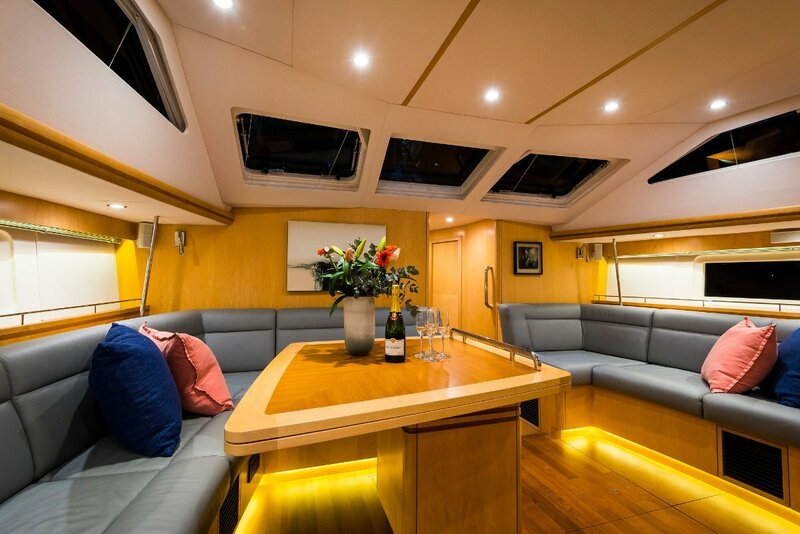 Saloon - C-shaped settee to port and L-shaped settee to starboard. 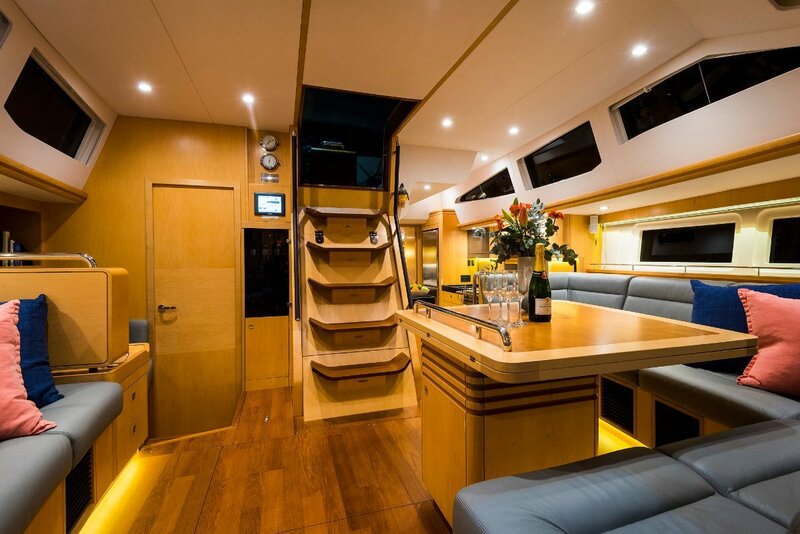 Extensive folding dining table to port. 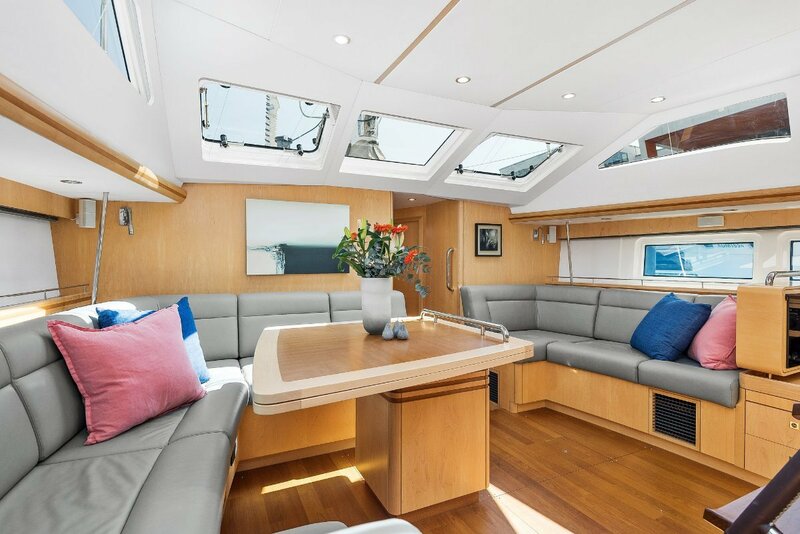 Spacious deck saloon with a large amount of light from the overhead wraparound windows and views outside from the stylish portrait hull windows. 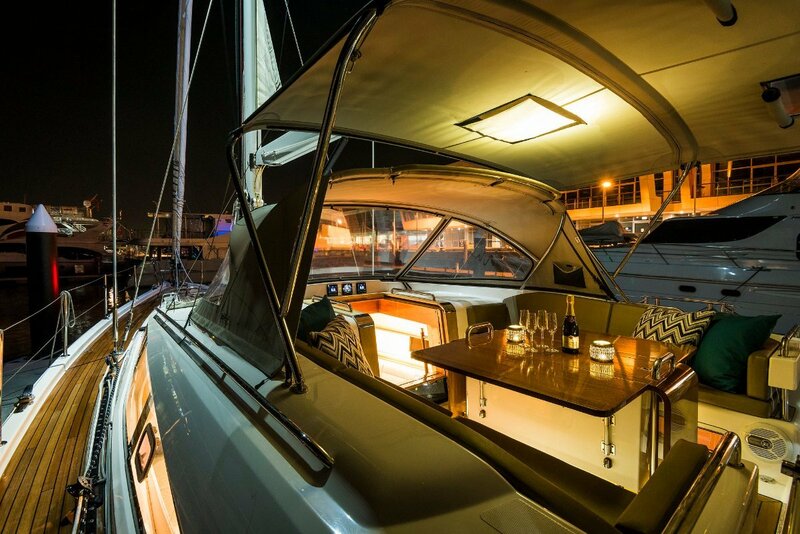 Navigation station to starboard with desk and plenty of chart stowage. 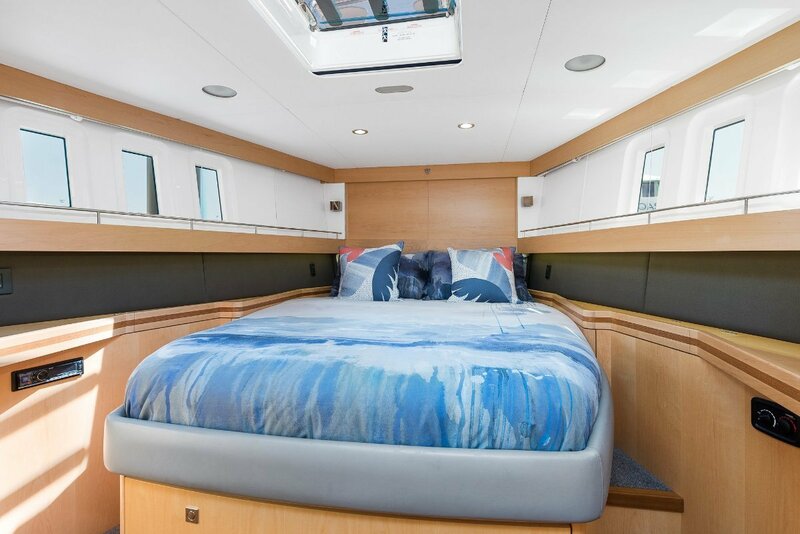 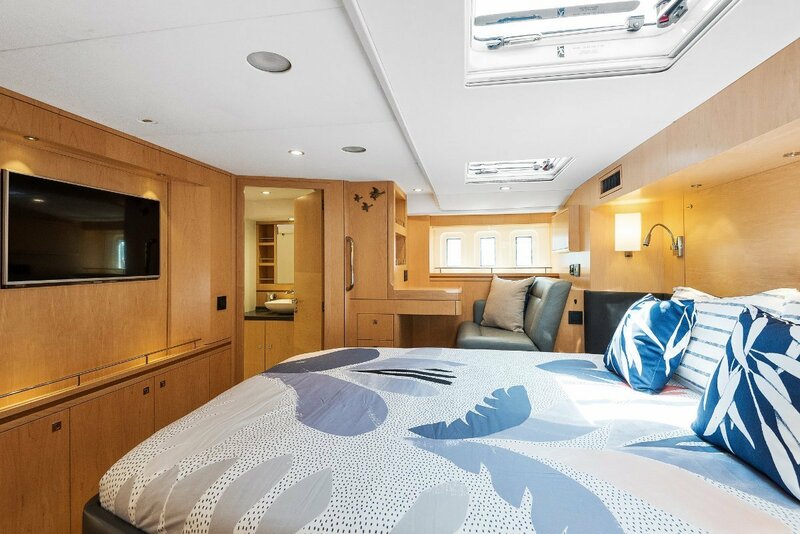 Aft of the Navigation Station is a spacious Bunk cabin with 2 large berths, hanging locker and drawer storage and access to engine compartment. 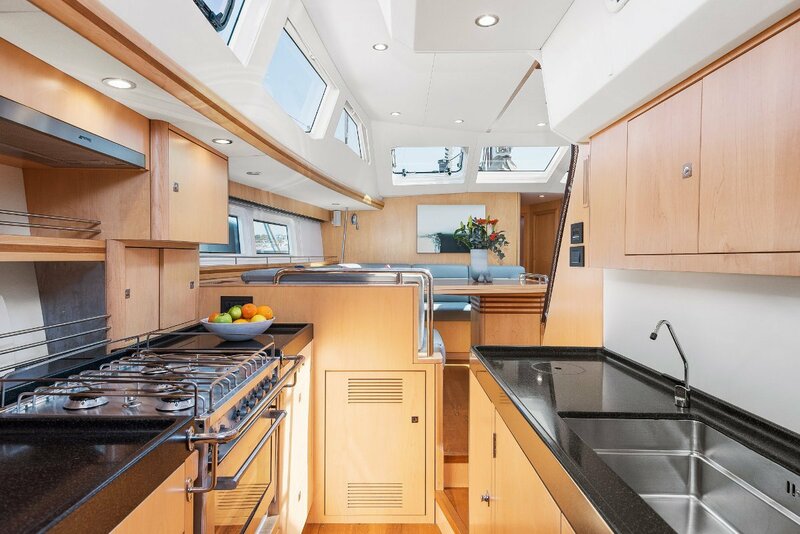 Galley to port with 5 burner GN Espace cooker with oven and grill, microwave oven, Frigomatic stainless steel fronted fridge and freezers (both keel cooled), ice maker, full crockery and cutlery for 8, Corian worktops throughout with fiddle rails, charcoal fresh water filter. 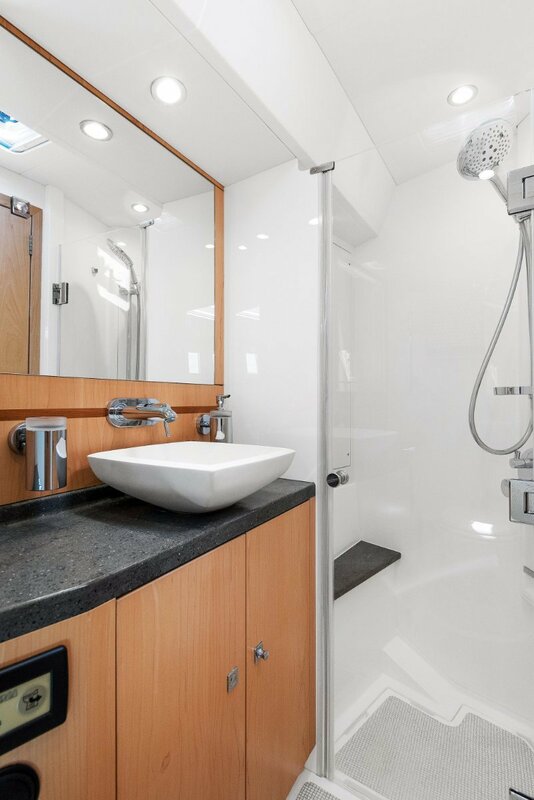 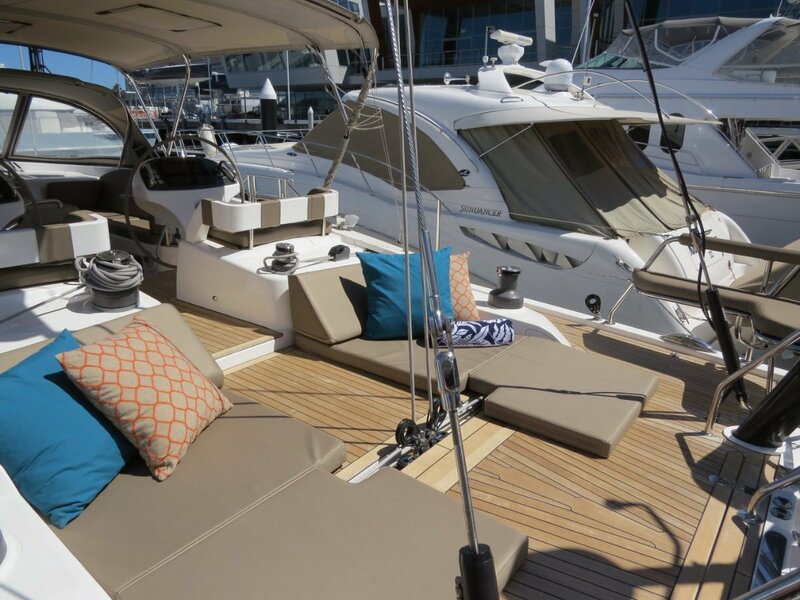 Master Cabin - capacious cabin containing a large double island berth, settees outboard, either side, hanging lockers, cupboards and drawers, en-suite heads with separate shower compartment, 2 x flush mounted opening deck hatches for ventilation. 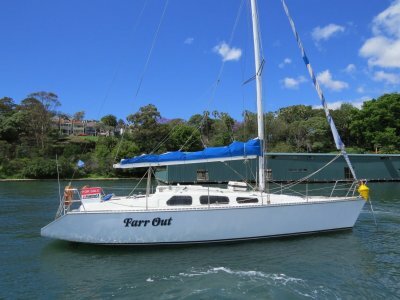 Inverter - Mastervolt 5Kw Shore power inlet - 2 x 32Amp Generator - Onan 11Kw Electrical Circuit: 24V - Solar panels - Washing machine, Computer - VASARI and more.